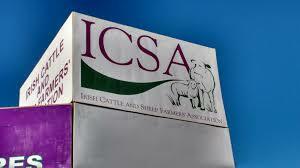 ICSA Animal Health & Welfare chairman Hugh Farrell has called on the Department to allow valuers to do their job when it comes to the live valuation system for TB reactors. “When it comes to breeding stock, or animals with show potential, there has to be flexibility in the system to allow valuers to give an honest and true assessment of what an animal is worth. In these cases, average price ranges from thousands of animals sold in marts each week is meaningless. “ICSA is concerned that too much subtle pressure is being put on valuers to avoid giving the real value of a high calibre cow or heifer. As it stands, the odds are stacked against a farmer who has TB reactors. While the farmer can appeal the valuation, so too can the Department. The panel is selected by the Department in the first case, but we hear stories of valuers being afraid that they will be removed from the panel if they are deemed too favourable to farmers. “While everybody accepts that valuations should be accurate, it is manifestly the case that some animals, particularly breeding animals, can be worth several hundred euros in excess of the typical price. Penny pinching over this is a pointless exercise in the context of the overall budget because we are only talking about a very small minority of animals. However, where a farmer has spent years breeding livestock and has invested in having the best of stock, it is very upsetting and frustrating to see the Department second guessing experienced valuers. Moreover, the sense that valuers are looking over their shoulders all the time is out there and this is not acceptable. “Unless there is a strong body of evidence that a valuer is continuously getting it wrong, the Department should accept that at times, there will be stock that are much more valuable than any paper exercise in average values.